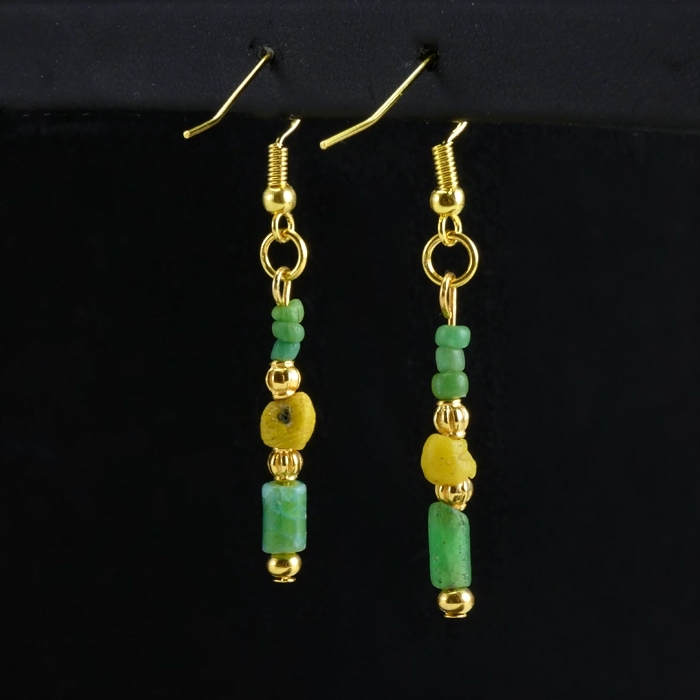 Earrings with Roman green and yellow glass beads. 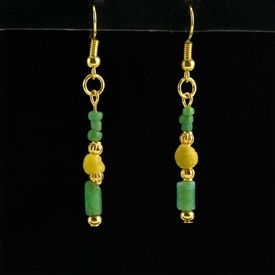 Restrung using authentic Roman beads with decorative spacer beads and hooks. 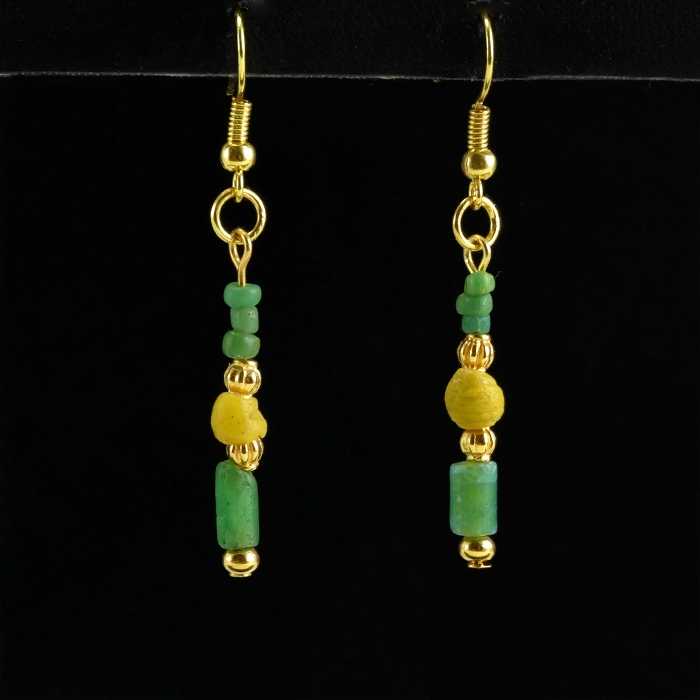 All beaded jewellery is restrung with contemporary stringing material and fasteners to make it wearable or to facilitate putting it on display. All spacer beads, hooks, fasteners, etc. 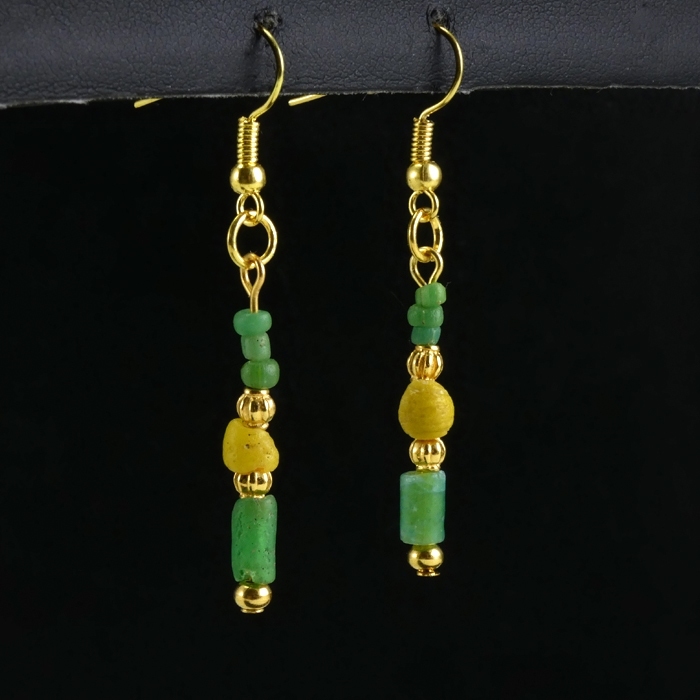 are new and of Designer Quality nickel- free material.